Home Tags Posts tagged with "carry on luggage"
It’s official. Your baby is all grown up and has finally graduated onto the next chapter of their life! If your recent grad has made the choice to take a gap year (or travel abroad), embrace it and have them read our tips on how to travel AND succeed post-graduation. They are not mutually exclusive! Traveling will help further their education and expand their mind in more ways than you might think. Like most parents, you’re probably getting nervous about sending your kid off to some foreign country. Put your mind at ease and get them the travel gear they need to succeed. 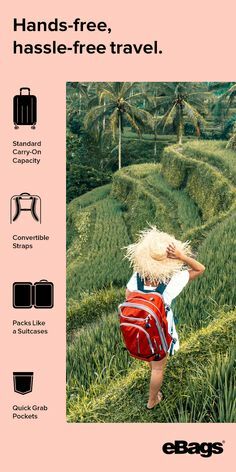 Ultimately, you (and your grad) want to be sure they are going to get the most out of their journey, and traveling around the world is so much easier when you carry the optimal travel equipment. From wearable safety devices to portable and universal chargers, we have everything your grad needs to have a successful gap year journey. Thou shalt never forget, your journey starts here. Pockets and compartments galore! 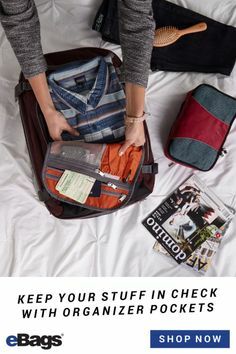 From the inside and out, there are so many useful ways your grad can organize all their travel gear and probably even have some empty pockets to spare! Traveling from airport to airport is made super easy! 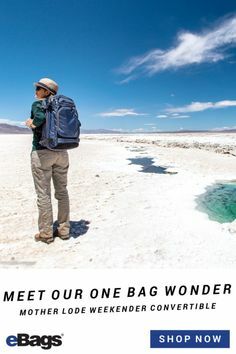 They can roll it like a traditional suitcase while strolling through the airport and can wear it on their backs when their trekking through terrain! No need for a separate laptop bag! The Mother Lode made a specific padded pocket for laptops sized up to 11.75” x 19”. Too close for comfort? We think not. The padded straps and handles will keep your grad comfortable all journey long. Never let the airport lose your luggage again. With the Mother Lode TLS, your grad will be able to fit everything they need and still be able to put it in the overhead! WOW, what a bag! 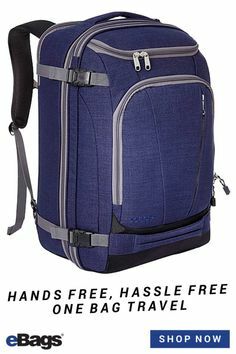 The 1st time I used this bag, I packed 6 pairs of casual slacks, 7 shirts, a pair of jeans, a pair of Crocks, 6 pairs of socks, 7 underclothes sets, numberous other items INCLUDING my laptop and it STILL fit into the OVERHEAD. Packing is already such a tiresome task, and packing for an extended period abroad can seem near impossible. 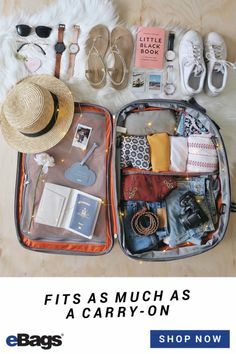 No matter how a gap year is spent, your grad will most likely be packing, unpacking and repacking throughout the entire duration of their trip. 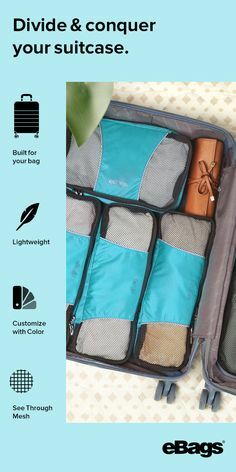 Savvy travel organization is key and packing cubes are the easiest way to save space and time. 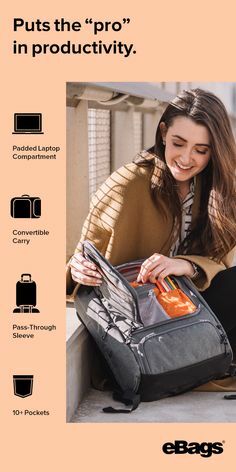 They are a light-weight organization system that allows the traveler to keep their belongings orderly, pack even more, and do so in a matter of minutes! For the sole world traveler, we recommend organizing different categories of items into different cubes. The mesh outside wall allows travelers to see what’s inside easily, so they only unpack a cube when they need it. For instance, travelers can put warm weather clothing in one cube, cooler weather clothing in a different cube, and even reserve a cube for things like electronics, chargers, etc. These are the best travel organisers I’ve found, and I already have 5 other brands. Weight is key today when travelling and they are light. What I like is that the are great for organising things in drawers too…when travelling they fit into drawers and hold their shape relatively well so less space is required. Safety is a top priority. Help your grad keep their money and most important documents safe with a sleek leather travel wallet. We love the Royce Leather Passport Travel Wallet ($65) and here’s why! Besides being able to hold all of their most important travel documents, this wallet can hold an iPhone, reading glasses and a pen…AND still fit in their back-pocket. They can use the separate pockets for different currencies. If they plan on bouncing from country to country, this will help them easily keep track of all their monies. Now when I travel, I can keep my home currency on one side and the other country’s currency on the other! No more trying to switch at the airport or carry two different wallets in my luggage! You want your grad to be connected to the world and able to communicate with you while they are on their journey, don’t you? You can attempt to make this possible by making sure they are never without power again. Meet the Lifeboat ($40) our favorite saving grace gadget and an absolute necessity for any modern day traveler. The best part about the lifeboat is it doesn’t need to be recharged after every use. It has enough storage capacity to rescue their phone and a friends phone in need! At first I thought it was too small to work well. I was surprised to find that it works really well. I have an iPhone & an iPad and I use it to charge both of them. I usually need to re charge it after three days. Leaving the house without headphones is equivalent to leaving the house without your keys. Mobile music is a modern day necessity and a man’s best friend. Whether it’s to use them as baby blockers on the plane, trekking through the city or simply to listen to something to get a sense of familiar – top jams or a good book can make all the difference in a traveler’s experience. Besides, listening to something while on-the-go can be inspiring and a great way to keep one entertained. 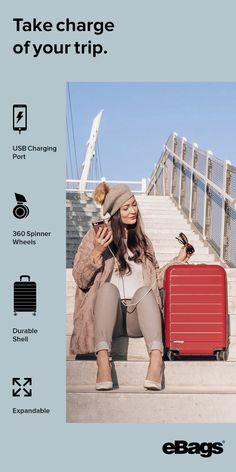 The ideal set for any traveler is hassle free, cordless and of course, no stress. Fortunately for your new grad, the Audio Technica Headphones are portable, packable and cancel out noise with perfection. Bonus: The audio continues to work even after the battery dies!